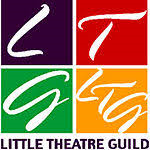 The Little Theatre Guild is the umbrella organisation to co-ordinate the development of independent amateur theatres across the UK and beyond. The Guild is a vibrant community of over 100 member theatres which has been in existence since 1946. NODA is the National Operatic and Dramatics Association. They work to help and support amateur theatre companies. We are grateful to the Holiday Inn Kenilworth for their help and support.